The latest battlefield in the Pinoy fast food wars is on the front of burger steaks. 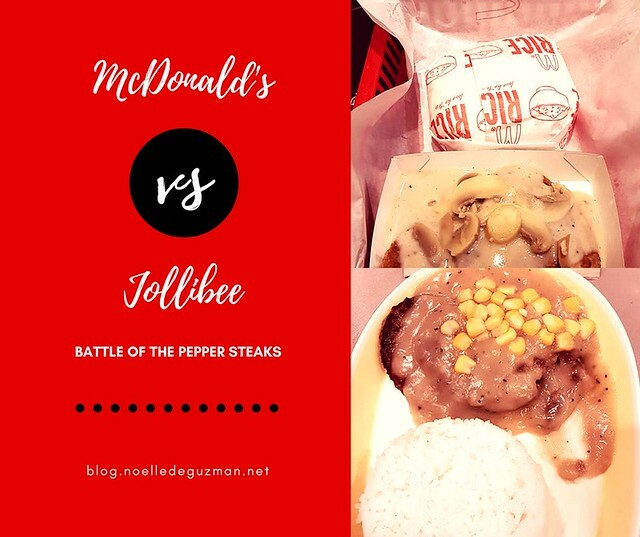 Jollibee has had Burger Steak with gravy and rice for the longest time on their menu, but McDonald’s introduced their Mushroom Pepper Steak as a competitor. I’m not sure about the timeline of things, but soon enough Jollibee had their own Pepper Steak. One good thing that came of this is Jollibee reinstated their two-piece Burger Steak menu item. Prior to facing competition they had phased out the two-piece item, forcing hungry people to order two one-piece Burger Steaks instead. I loved how thick yet soft the McDonald’s patty was. In contrast, Jollibee’s was thinner and the edges overdone. Some people note that McDonald’s used the same patty here as in their Burger McDo, so it’s not 100% real beef unlike Jollibee’s. 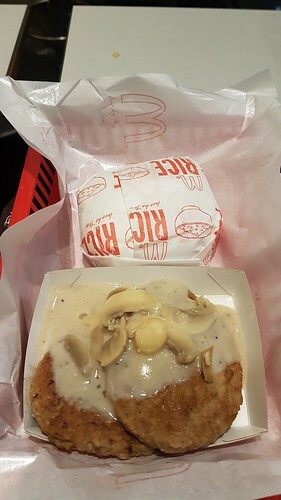 Jollibee’s tasted more of pepper, but McDonald’s sauce was so flavorful I spread some of it over the rice, and attempted to scrape up every last bit as I finished my meal. I like mushrooms and corn equally but the mushrooms melded into the flavor of the sauce better. 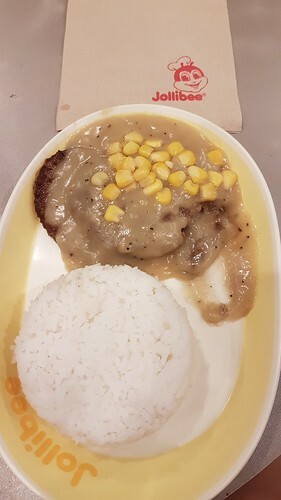 The corn on the Jollibee steak reminded me too much of KFC’s Chicken a la King sauce, and I prefer that sauce vastly over the Jollibee pepper sauce. Unlike most people I know, I prefer the McDonald’s dish! Maybe I just like gravy that tastes more like cream of mushroom. I seem to be in the minority, according to this informal Twitter poll I took. A little disclosure: I also prefer McDonald’s hamburgers to Jollibee’s Yum burgers, and would buy McDonald’s french fries over Jollibee Crispy fries. But you will only be able to pry Jollibee’s Chickenjoy from my cold, dead hands.